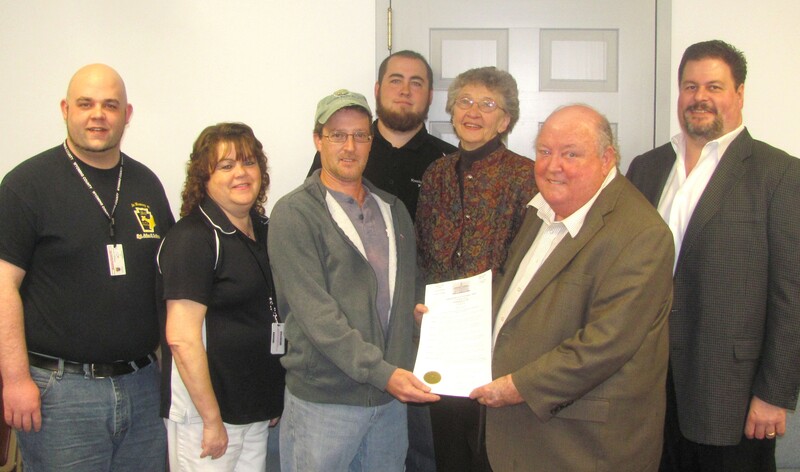 Wyoming County Commissioners (from right) Tom Henry, Ron Williams, and Judy Meade proclaimed the county’s observance of April 13 to 19 as National Public Safety Telecommunications Week. They were joined at the meeting by Wyoming County 911 staff members (from left) Brian Miller, Debi Raimondi, Keith Jordan, and Jeff Porter. As Wyoming County 911 and Emergency Management Agency (EMA) prepare to role out an expansive new program that will better integrate all of the county’s emergency services, the telecommunications system that keeps the 911 center in constant communication with numerous fire departments, police, and first responders was a recurring theme during the regular meeting of the Wyoming County Commissioners on April 9. Part of the streamlining of those services has included actions by county EMA and the 911 center to better insure its ability to communicate in all of the nooks and crannies of a mountainous county. After the reading of the proclamation, two 911 center associates stayed behind to inform the commissioners that Wyoming County 911 had completed a deal with the Meshoppen Fire Company to take over the commercial lease of a communications tower on Oliver Road. Since the county will be “co-locating” at the tower site, the county will now assume maintenance of the electricity and generator there. 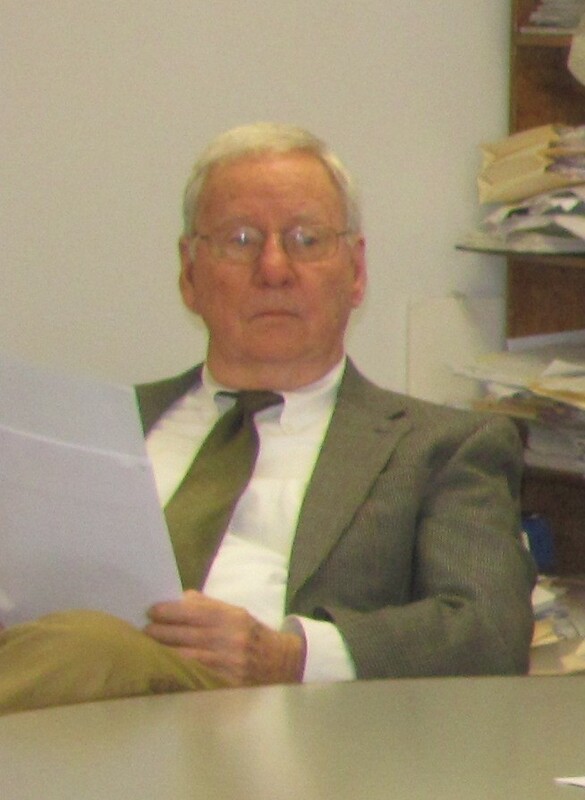 On the topic of another communication tower on Osterhout Mountain, County Solicitor Jim Davis (above) advised the board that a more concrete deal should be sought with Shadowbrook Inn & Resort, which owns the property on which the tower was installed. Davis acknowledged that there is a “verbal deal” between the Inn’s owners and the county but cautioned that “What we have now is not acceptable.” The commissioners agreed. In other news, the commissioners announced the lateral promotion of Wendy Howell from her work with the Wyoming County Planning Commission to Community Planning Secretary. Commissioner Tom Henry noted that, among other skills, Howell has proven herself to be very capable with the computer technologies associated with mapping projects. “We didn’t know that she had all of those talents until she applied for the job,” Commissioner Ron Miller concurred. The next meeting of the Wyoming County Commissioners will be held on the second floor of the courthouse in Tunkhannock at 9 am on Tuesday, April 22.